A community energy group in Scotland announced it has sold £1 million of shares to 170 investors. 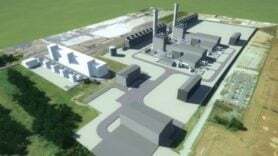 Dingwall Wind Co-op beat its £850,000 target and building the 250kW turbine can now begin. Work has already begun on the site, with trenches being dug and cables laid (pictured). The turbine itself is due to be installed in spring next year. The co-op was launched in September, offering a 7% return on investment and stakes ranging from £250 to £20,000. Income from the turbines will also be used pay for more local energy projects, through a community fund. At least £2,000 of the income from the turbine will be put into the pot each year but the co-op said the contribution is more likely to be around £8,000.